There are many fans who have their craze for Star Wars, but ever since the return of Star Wars series, the fans have increased that even promotions took place that gained popularity. Star Wars: The Force Awakens and Solo A Star Wars Story has been emphasized that has loads of surprises for the fans. Especially from this online store, there is something for you guys to love and that is these costume collection - Star Wars Shop - inspired from the movie. It includes star wars varsity jacket, hoodie, and t-shirt (shirts). Rogue one jackets, star wars bracelet and our vest collection are made screen accurate, while the hoodie and t-shirts are made in a creative manner. One of these collections contains Finn Star Wars Jacket, Alden Ehrenreich Jacket, Poe Dameron Jacket, Han Solo Jacket, Star Wars Letterman Jacket, and many more which are directly related to the movie. They are durable and long lasting which you fans deserve. As for the hoods they are made from 80% cotton and 20% Polyester with hot logos of Star Wars made on center chest. These Star Wars Varsity Jacket, Movie Jackets and Tees will no doubt keep you warm during winter season and for sure very comfortable as well. The t-shirts are made the same way. 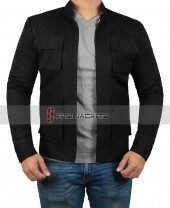 They are slim fitting, highly appropriate for casual wearing similar to the leather jackets men and also for identifying in front of everybody the true fan you are for Star Wars. So here you have it, all made ready for you. Choose your favorites because your Star Wars shopping starts now.